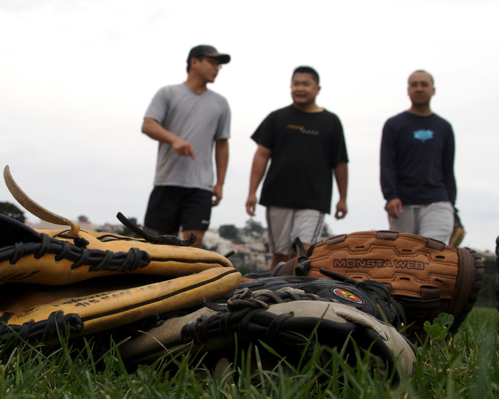 About Us - The San Francisco Pickup Softball Network is a group of recreational softball players who host games for players of all abilities and experience levels in the interest of having fun. We've played every week (weather permitting, and sometimes even when it didn't) for over 10 years. Our players range from first time softball players to veteran club players. No reservations necessary, just check the schedule below and show up! Always check the messages for the latest news on field location.